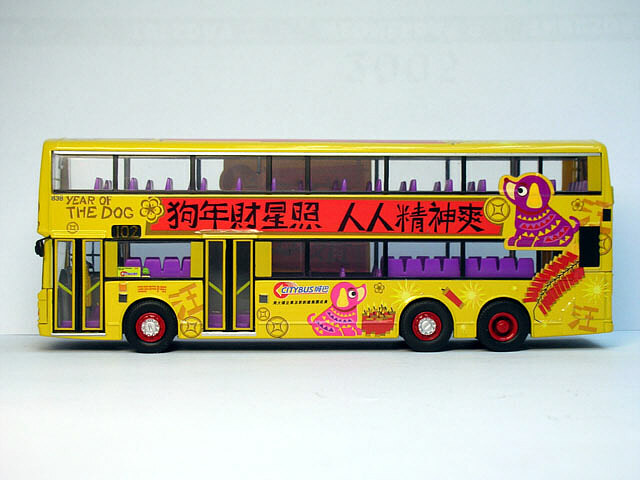 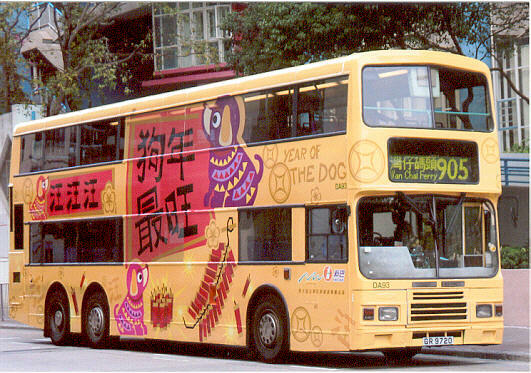 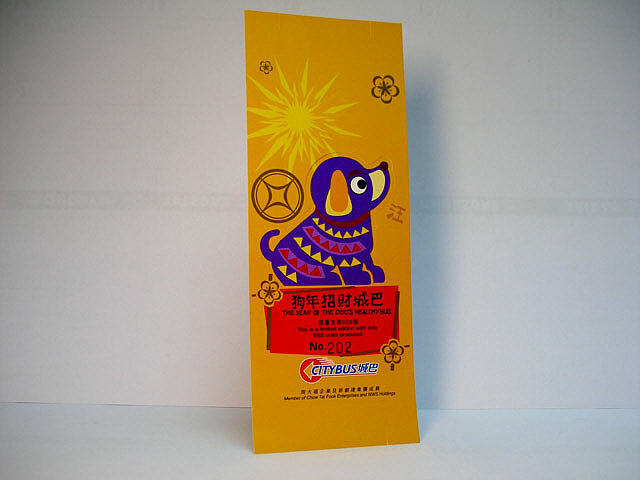 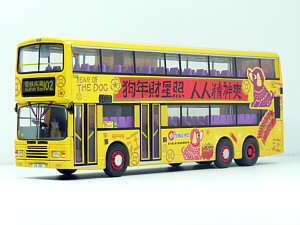 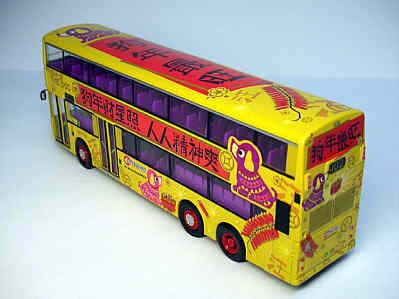 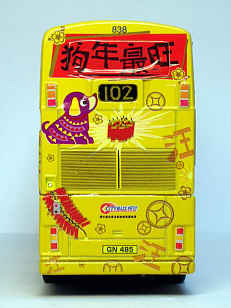 The model - details of this model were first announced on this site on 10th January 2006, a couple of days before the actual Citybus vehicle was unveiled in it's 'Year of the Dog' livery. 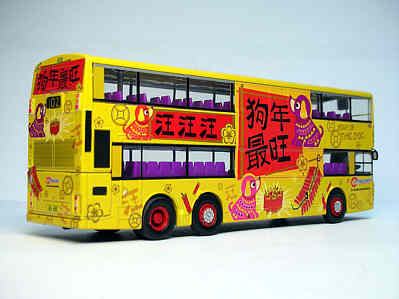 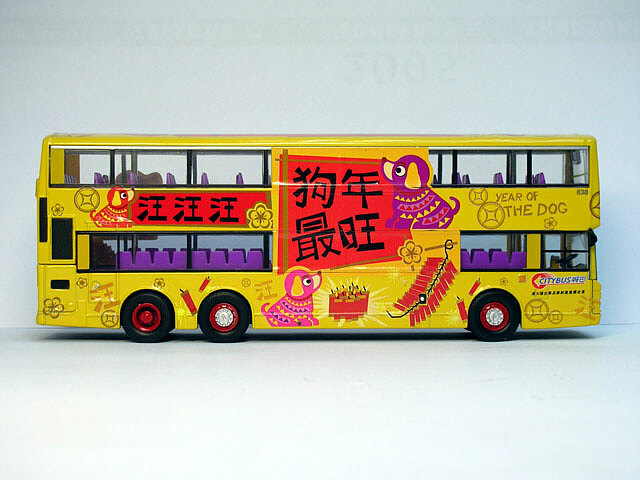 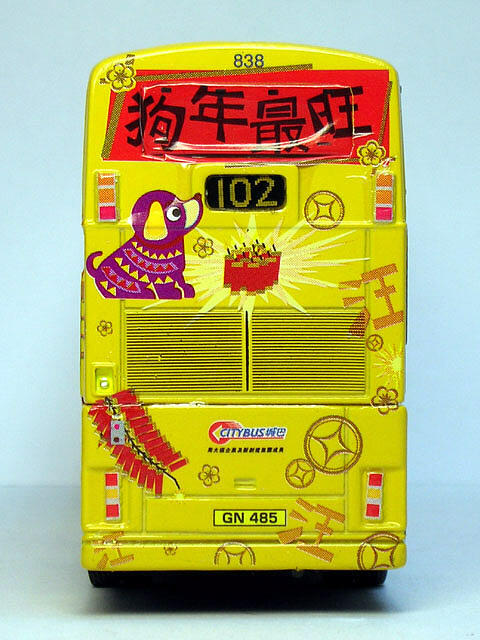 The New World First Bus model (20018) was announced at the same time and carries the same decoration, indicating how the operations of the two companies have been merged under one ownership. Both models use the same Model Bus Evolution (MBE), indeed that company's only casting, which was last used for the Citybus 'Year of the Ram' model (MB108) almost three years ago. 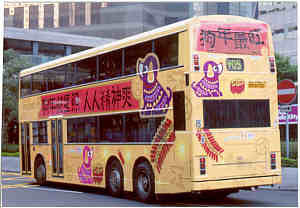 The bus - 838 is one of eighty 12-metre Dennis Dragons delivered to Citybus between 1995 and 1997. 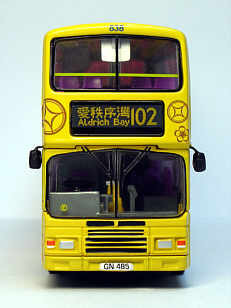 They carry Metal Section (Metsec) bodies, which were assembled in Portugal, and also feature Alexander style front ends. Fleet nos 801-829. have a 3+2 seating layout, whilst 830-880 have 2+2. 838 entered service in September 1995.